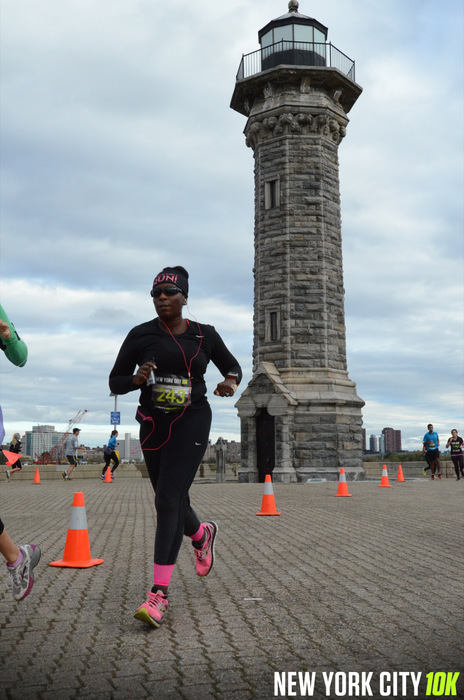 This was the second year of the New York City 10K (6.2 miles) that is put on by the Cerulean Sports Group. I hastily signed up for this race because I suffered terribly last year from bling envy after I saw the massive medals they doled out. 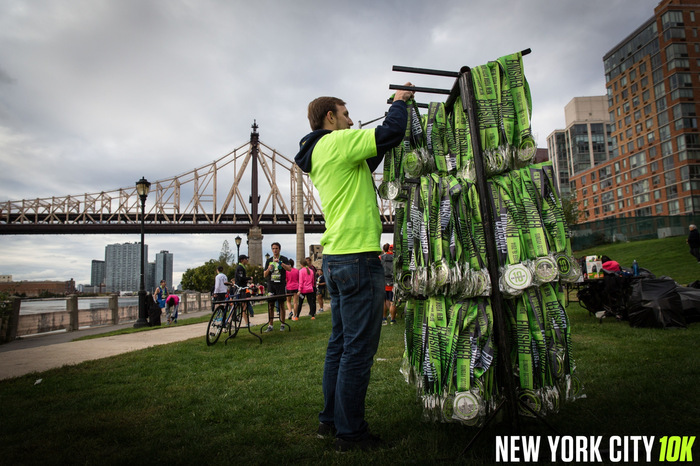 As everyone else was signing up in 2013 for the inaugural race I recall thinking that I would NOT be traipsing on over to Roosevelt Island for a race. I had visions being trapped on the island in the midst of a prison break. Yes, I realized later that I was confusing it with Riker’s Island but I didn’t care because I just knew it was the place that you got to by traveling by air in little cars that were held up with string attachments. No, the tram business was not going to work for me. But after seeing the gorgeous gaudiness of last year’s medal, transportation became a trivial afterthought. I was on my way to Roosevelt Island. 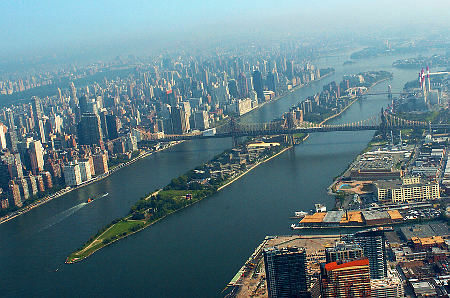 Still, I hadn’t completely lost my mind and so I drove into Manhattan and took the subway one stop over to Roosevelt Island. The race organizers kindly sent out an email informing the runners that there would not be any Coney Island Bound F train service from certain stations. What did I care? I was taking the Queens bound train in my carefully orchestrated plan to complete the race and make it to church on time … I have to get my worship on. So I get to Roosevelt Island without incident. I wasn’t sure what to expect when I got there and thought the island might just be one big park. Anyway, it turns out that there are multistory buildings and regular life form on the island. The park where the race began was right next to the subway station, so it was very convenient. We lined up in our corrals. It was a little chilly so I was anxious to get going. Whitney Houston belted out her Super Bowl national anthem and that warmed me up a little … the best rendition of the anthem ever. Then we were off. The race course was basically two loops around the island. Much of the course path was narrow which caused a significant amount of congestion in the beginning of the race. I would recommend making sure that you begin in the appropriate corral. I probably should have moved up a corral because I spent much of the first two miles trying to get by other runners. After the crowd thinned out, it was great. Yes, yes, yes. Flava Flav!!! The ginormous medals were back. I think I got some pep in my step at that moment just thinking about the saucer that was soon to hang on my neck. I was feeling good. Before I knew it, I was staring down the finish line. It was a great race and I crossed the line with a PR that has been a year and a half in the making. I have to say kudos to Cerulean Sports Group for a good event with great swag. The race shirt is sweet, the medal pretty and they provided free race photos to boot. Close up of the race shirt. It says “Finisher” on the bottom. With the race over, it was time to execute my exit strategy to make it to church on time. Things were looking good. I had two hours to get there. I went into the subway and headed to the platform to find that the Manhattan bound side was closed. Ugh!!! Turns out that I really didn’t think the whole “Coney Island Bound F train service” notice through carefully. So much for my one train stop plan. So after my a subway tour of Queens and an 11 block walk, I made it back to Manhattan … and to church on time by the skin of my teeth. 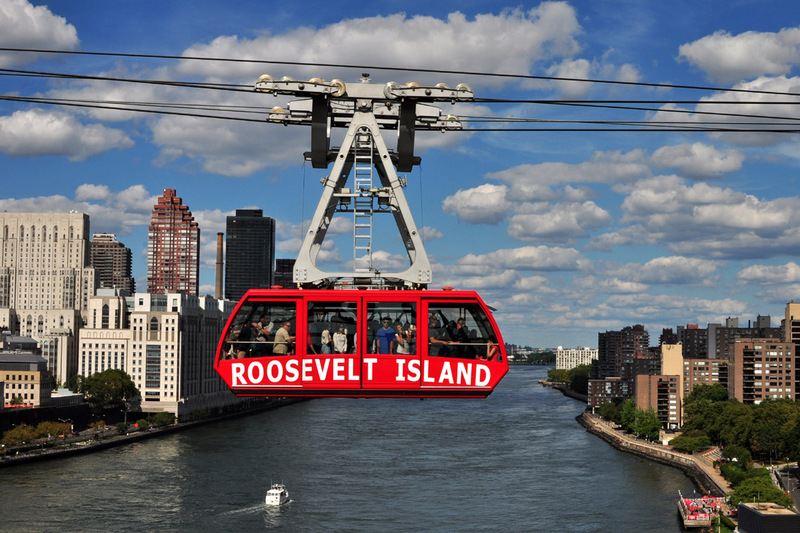 So if you’re not afraid of heights or amusement park rides, I would recommend taking the tram to Roosevelt Island to run this race. 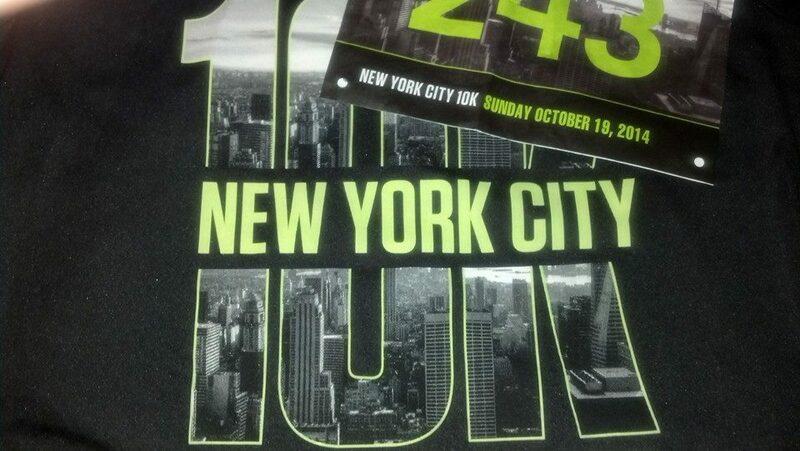 Next race … TCS NYC Marathon!! !